There are no comments for Girl Jumping At Lake Superior Shore. Click here to post the first comment. 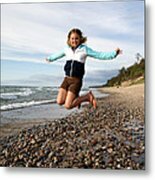 A young girl jumps into the air at the shore of Lake Superior. 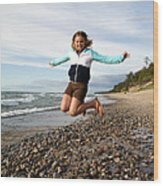 Photographed at 12 mile Beach at Pictured Rocks National Lakeshore, Michigan.